Join the Extend Family. Passionate, motivated, trustworthy and experienced, are just some of the distinctive characteristics of the employees at Extend. Joining our family provides you with a supportive group of like-minded people focused on providing excellence for our children, families and partnered schools. With Extend we will support you on your pathway to professional growth and development and ensure you have the opportunities to succeed. Our Benefits at ExtendLargest national family owned and run growing organisationWork with a passionate and committed team – no agency staff ever!Structured induction and mentoring to set our people up for successCareer progression and professional growthPaid training and on-going skills developmentPaid administrative time and other allowancesFantastic reward and recognition programWork-Life BalanceWork HoursMonday – Friday After School Care 2.35pm - 6pmVacation care 7am - 6pm3.75 hours paid administration hours per weekAbout the roleProvide high quality programs for children, which are safe, fun, stimulating with educational value.Develop positive professional relationships with families, school leaders and the communities.Provide support and mentoring a team of motivated educators to deliver service excellence.Ensure regulatory compliance jointly with the management guidance and leadership.About youYou must hold minimum:Diploma in Children’s Services (or working towards); orBachelor/Masters in Primary Education or Early Childhood Studies (or working towards) or equivalent – check ACECQA for full list of approved qualificationsA current Department for Communities and Social Inclusion (DCSI) screening clearanceLevel 2 First Aid, Anaphylaxis & Asthma Management Training, or willing to obtainResponding to Abuse and Neglect - education and care (RAN-EC) training or willing to obtainSMART (Strategies for Managing Abuse Related Trauma) training (when children under the Guardianship of the Minister are enrolled at the service).If you are interested in working for a child safe organisation that makes a difference in the quality of life for many, we would like to hear from you. 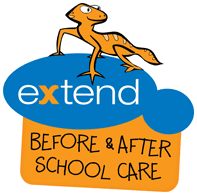 Please contact People and Culture team at 0484 131 116 for further information.Apply Now!Why work for Extend? SMART (Strategies for Managing Abuse Related Trauma) training (when children under the Guardianship of the Minister are enrolled at the service). If you are interested in working for a child safe organisation that makes a difference in the quality of life for many, we would like to hear from you. Please contact People and Culture team at 0484 131 116 for further information.